There's nothing easy about Rob Kardashian and Blac Chyna's relationship, at least not in the series premiere of Rob & Chyna . Rob Kardashian is finally back on reality TV, which means drama isn't too far behind. After finding out that Chyna is pregnant with a baby girl, Rob and Chyna seemed to be all lovey-dovey. That is, until Rob tried to look through Chyna's phone, got paranoid when he saw that she changed her passcode, and basically accused her of texting other guys and cheating behind his back. Long story short: Chyna threw Rob out of the house on Rob & Chyna , and Rob ended the episode with this confession: "Honestly, with me and Chyna, I just don't know what's gonna happen." With that kind of ending, it's no wonder we're all wondering, are Rob Kardashian & Blac Chyna still living together? Well, considering the fact that Rob and Chyna were recently spotted out, sharing a romantic dinner together, I think it's safe to say that Rob was allowed to move back in with Chyna after their fight. Of course, that's not necessarily saying much — according to Rob, Chyna has a tendency to kick him out after a fight. 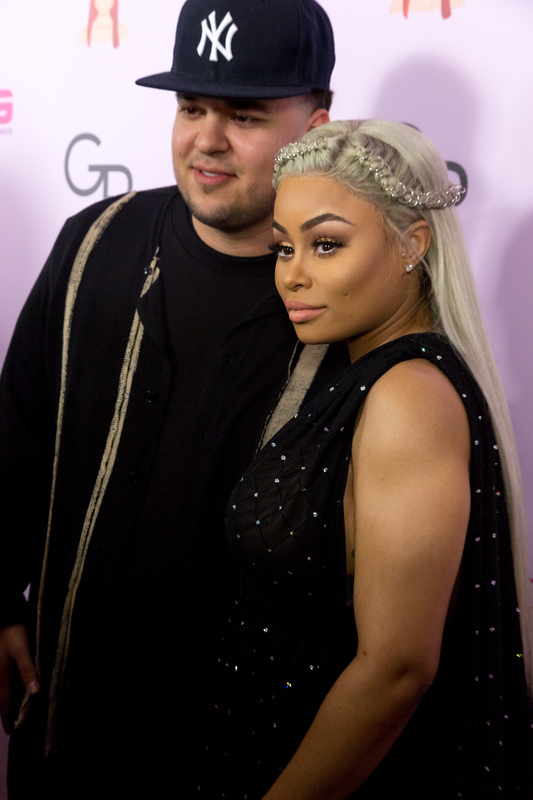 "This cycle of me being kicked out of the house has happened several times and usually I go right back, but I'm sick of it," Rob explained in Rob & Chyna. So, just because Rob is back in the house now doesn't mean we won't see him going back and forth a few more times as the season of Rob & Chyna continues. In the episode, Rob decided to stay at his Calabasas home for a few days to "giver her space." After a few days of not answering any calls or texts, however, Chyna got worried and went looking for him. She ended up talking with Kris Jenner — or, as Chyna called her "Miss Kris" — and told her about their fight. She wants Rob to start taking things more seriously and be more mature, and that means getting over some of his insecurities (and, you know, picking up the phone when she calls him). She left after asking Kris to talk to Rob for her, and the episode ended with Rob having a meal with his mom, talking about his relationship with Chyna. Despite some prodding by his mother, Rob was adamant that he wasn't ready to talk to Chyna, let alone move back in. It's going to be a long season.